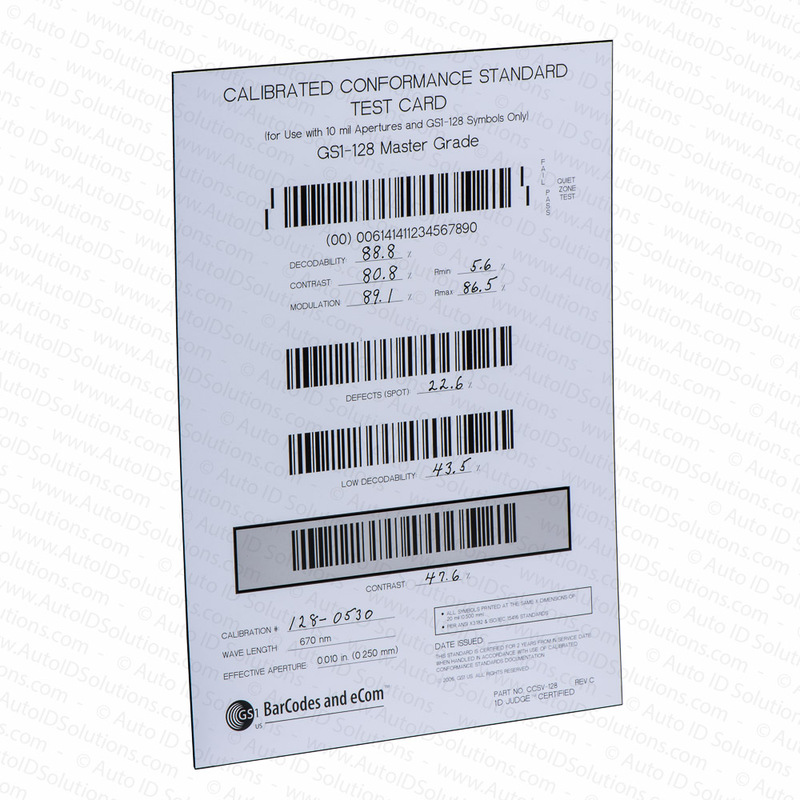 Save yourself from a customer complaint by testing the accuracy your bar code verifier using a GS1 Calibrated Conformance Standard Test card. 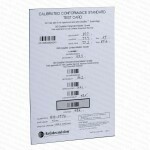 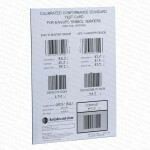 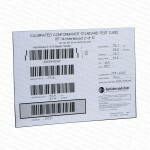 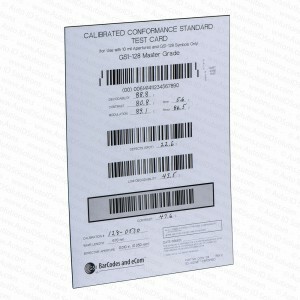 These test card/calibration plaques are NIST traceable and certified by the “Judge” bar code verifier. 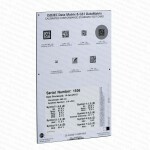 This plaque is designed for customers inspecting GS1-128 bar codes or bar codes that require a 10 mil aperture.